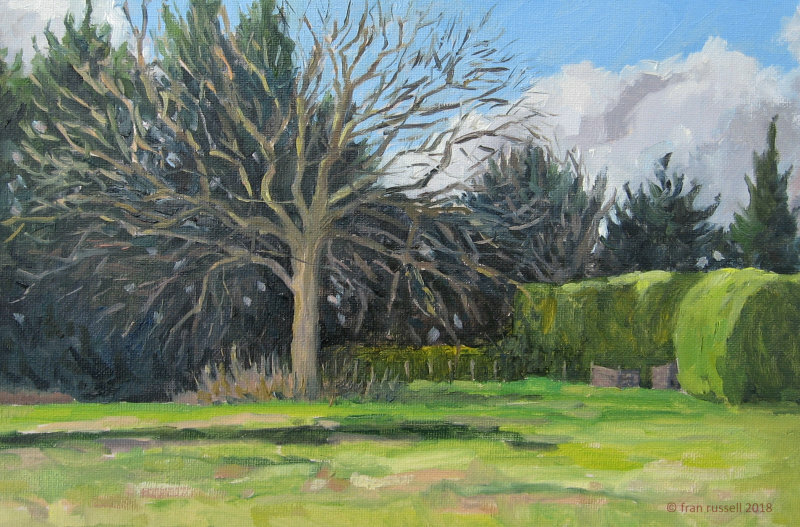 With the afternoon free, I took the opportunity to make the most of the wonderful light and relatively mild and wind free weather and ventured into our garden to grab a few hours to paint. I saw an Oak tree and hedge in a neighbours garden that was beautifully lit, particularly with the dark Conifers behind. It was a great subject - one I must return to at different times of the year. Location: Iden Green, Benenden, Kent.